The Islamic Republic may be focused on nuclear weapons - but most Iranians seem convinced the deal will simply bring economic prosperity. Iranians celebrated in the streets overnight Thursday/Friday, with many hoping that the Iranian nuclear deal published Thursday night will present new economic and social opportunities. Several Iranians took to Twitter to celebrate the news. Many cited hopes for better economic prospects. At least one, a businessman, told the Guardian that the talks could pave the way for easier exports and imports; until now, he said, spare parts from the US were only available on the black market, and at very high prices. 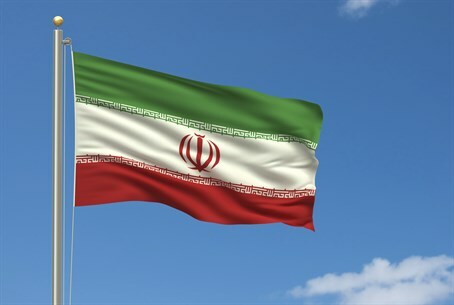 Amir Ali Handjani, an Iranian American energy executive, added that there could be safety implications, as well; the first companies expected to approach Iran for trade are Boeing and Airbus, as Iran's airlines "have the oldest passenger planes in the world." Others focused on being able to make amends, in their eyes, with other nations of the world. Iranians overwhelmingly supported a nuclear deal between Tehran and the P5+1 world powers, a Gallup poll in February revealed, with 70% at least somewhat hopeful a deal could be reached; 56% of overall respondents approved development of the nuclear program for non-military use, as Tehran claims, whereas 42% approved for military use. After months of tense talks, a framework agreement between Tehran, several European Union countries, and the US was reached Thursday night. But the deal is less sweet to Israel and to Republican lawmakers in the US - both of whom cite the Islamic Republic's chilling remarks threatening destruction against Jews, Israel, and America as ample evidence that the program will be used to build nuclear weapons. Prime Minister Binyamin Netanyahu slammed the deal Thursday night, noting that the agreement threatens Israel's very existence. Several Israeli officials, as well, called the deal an "historic mistake." Israel has noted that there are 17 states which have peaceful nuclear programs, and none of them enrich uranium as Iran will be allowed to continue doing. In addition to openly calling for the destruction of Israel, Iran has continued to exhibit its overt hostility towards America as well. After US Defense Secretary Ashton Carter warned Tuesday that the military option is still on the table if talks fail, Iranian Defense Minister Hussein Dehqan said his nation is ready to confront America on the battlefield, in a direct challenge to the US.